Bohol is an island province of the Philippines located in the Central Visayas region. Its capital is Tagbilaran City. It is the 10th largest island in the country, located in the heart of the Visayas. 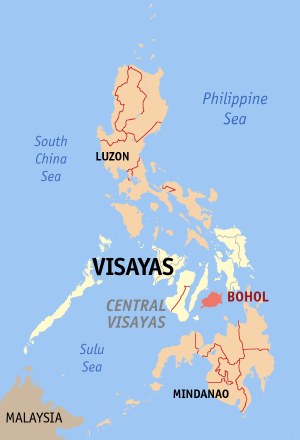 To the west of Bohol is Cebu, to the northeast is the island of Leyte and to the south, across the Bohol Sea is Mindanao. Hills dominate the island of Bohol. Two ranges run roughly parallel on the northwest and the southeast. An interior plateau is dominated by limestone hills. 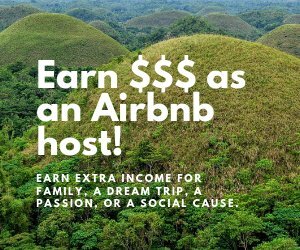 In Carmen, Batuan and Sagbayan, these hills form near perfect cones in great numbers and are collectively referred to as the Chocolate Hills.